This ceramic glass GE cooktop offers a smooth and seamless cooktop surface that makes cleaning quick and easy, and two ribbon, 7-inch heating elements. With ribbon heating elements, the heat comes from brightly glowing elements positioned beneath the smooth surface. Even heat is directed straight up to the pan for high speed heat-up. 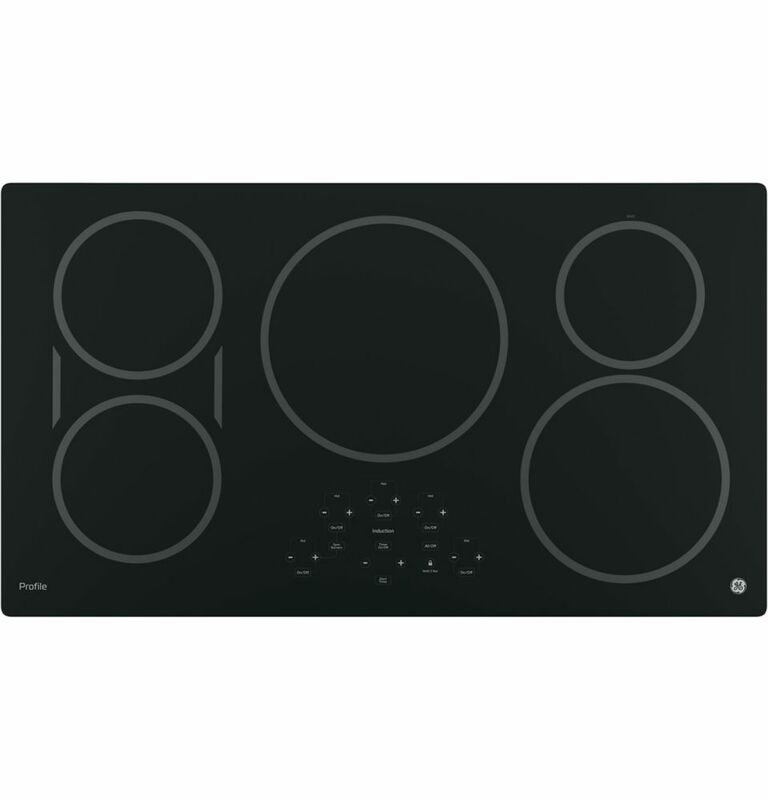 Profile 36- Inch Electric Cooktop in Black This ceramic glass GE cooktop offers a smooth and seamless cooktop surface that makes cleaning quick and easy, and two ribbon, 7-inch heating elements. With ribbon heating elements, the heat comes from brightly glowing elements positioned beneath the smooth surface. Even heat is directed straight up to the pan for high speed heat-up. Profile 36- Inch Electric Cooktop in Black is rated 4.5 out of 5 by 312. Rated 4 out of 5 by Lkmekker from Looks very sleek Looks sleek when clean but gets dirty easily. Cooks hot and fast so must be careful because can burn food quickly. I like that it doesn’t have knobs to clean under. Rated 5 out of 5 by Ellenn5 from Easy to use We love our new cooktop. Cooks fast and evenly. Nice safety features with small kids around. Only negative about it is having the black color it shows fingerprints. Never going back to a tradional top! Rated 3 out of 5 by Paul 47 from Previous model of this PHP9036DJBB Product worked great but died too soon, only 5 years for such a big investment. I re-brought it because the cutout only fit this GE model. Will see how long this one will last. It's only been ~3 months as of (2/28/19). It's too early to tell how reliable this one will be.